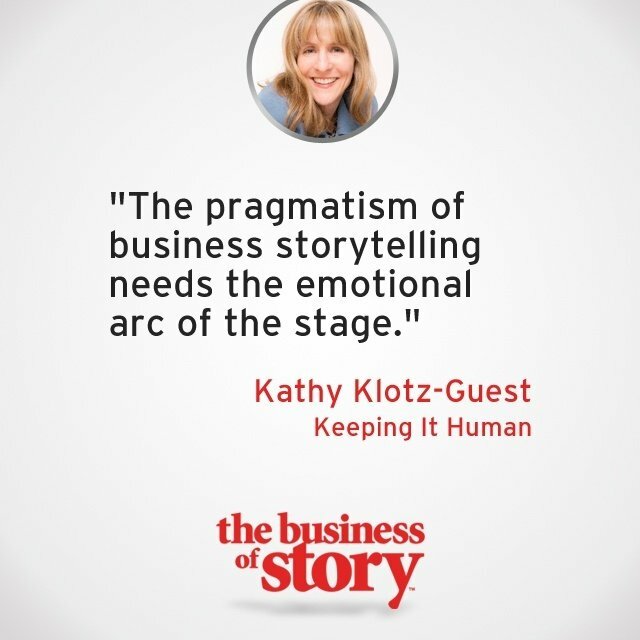 Kathy Klotz-Guest, Chief Storyteller at Keeping It Human, joins the Business of Story Podcast to share how loosening up through comedy can enable business storytellers to address human need. Kathy Klotz-Guest is an expert at helping business professionals become better storytellers for their companies. With a resume steeped in Silicon Valley culture, you may believe Kathy to be a specific kind of marketer. But for a while, she led a dual life working as marketing director and consultant during the day and moonlighting as an improv comedian on evenings and weekends. Fast forward to today, and Kathy now has a 20-year comedy and marketing career under her belt as well as a deep understanding of what makes a great story, both on- and off-stage. Here, she shares her unique perspective on the confluence of comedy and business storytelling, while propelling the professional service world to humanize B2B marketing. After listening to this episode, you’ll be able to connect with your audience like you’ve never connected before.